This oversized iron wall clock is 34" in diameter and is finished in off-white with an antique nickel outer ring. The center of the dial is moderately distressed and dented for an aged appearance. Black Roman numerals are centered on individual antique off-white panels that are moderately distressed and dented for an aged appearance. Various levels of significant denting to the case and dial create an aged appearance and may vary from product to product. 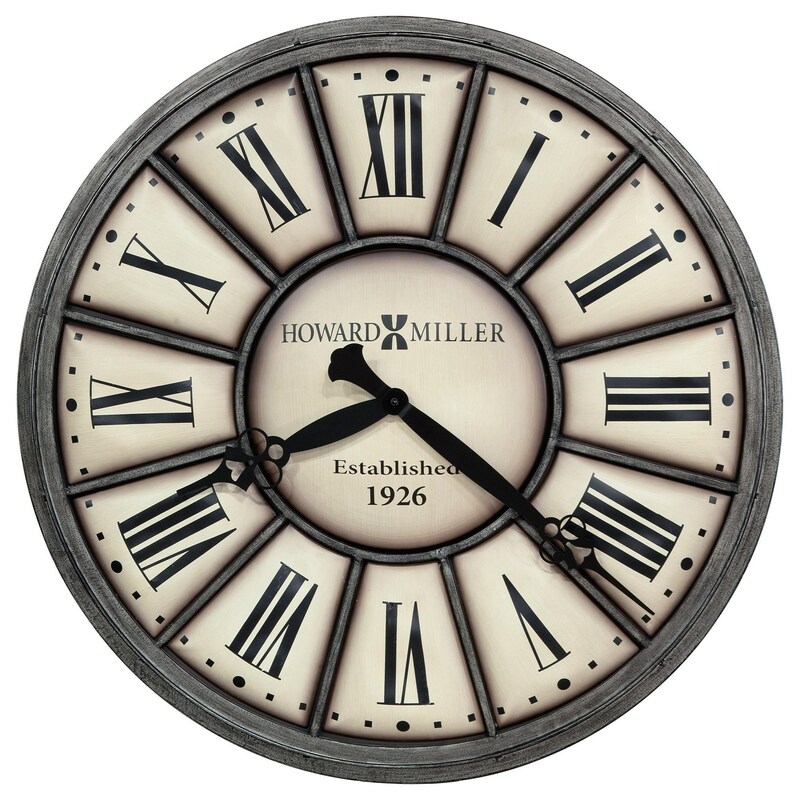 The Wall Clocks Company Time II Wall Clock by Howard Miller at HomeWorld Furniture in the Hawaii, Oahu, Hilo, Kona, Maui area. Product availability may vary. Contact us for the most current availability on this product. The Wall Clocks collection is a great option if you are looking for Relaxed Vintage Industrial Contemporary furniture in the Hawaii, Oahu, Hilo, Kona, Maui area.